It’s summertime, and I’m so excited to go on adventures, make some crafts, and bake some goodness with my kids. We’ve made a list of 50+ ideas to help make our summer FUN, most taken from my FUN WITH KIDS Pinterest board, but we’ve made our own list of something else to do this summer. I’ve also discussed with them that I would like to have exercise days, too, and they were ON BOARD to 3x a week all together (I’ll do 3 more on my own as I’m trying to tone up with weights). I love the idea of getting my kids involved in exercising, and they are at ages that they like it, and recognize how good it is for them. We started today and did a circuit workout. 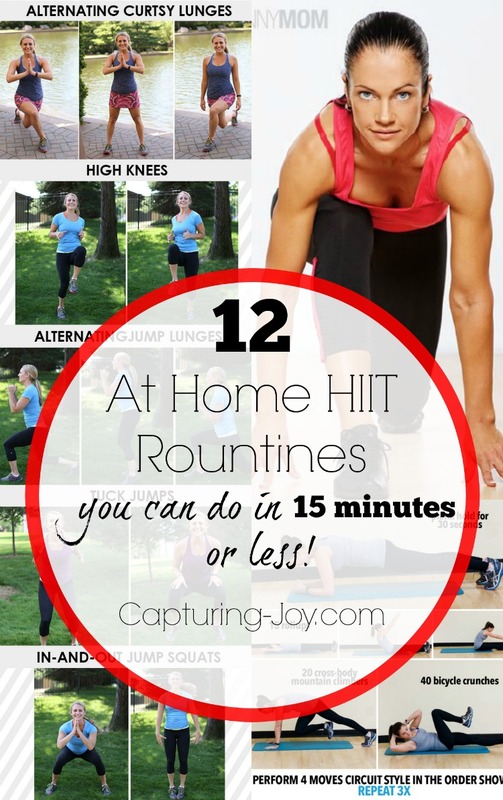 I pinned a bunch to my Pinterest Exercise Board, so check them out. We first did THIS ONE. I shared this picture on Instagram and Facebook of my kids doing some of the exercises this morning, and asked for more ideas, so I got the idea to share that list, to help inspire others to exercise with their kids this summer, too! I aim for 20-30 minutes of constant moving with the kids. Most of these are free, or can be done at home. 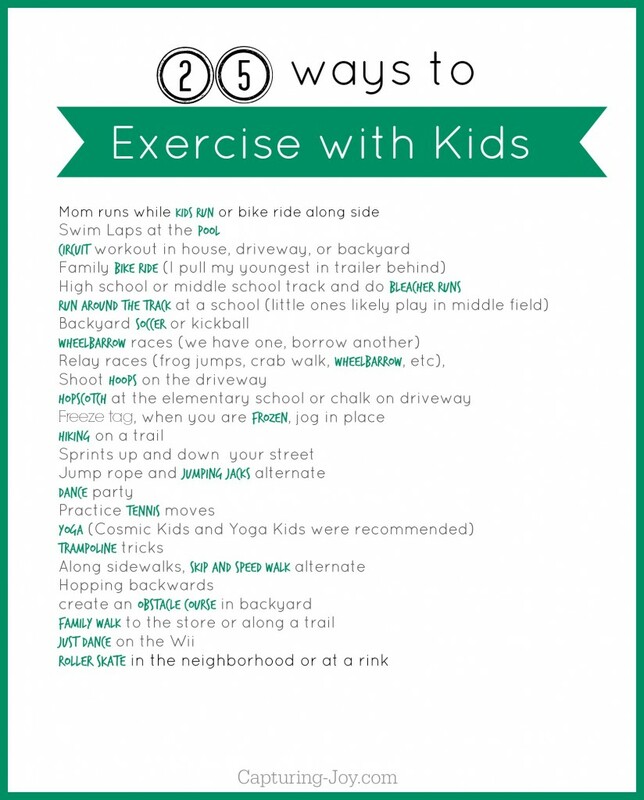 Someone also left a link for 25 Exercise Games and Fun Indoor Activities to get kids moving, so check that out, too! Of course you’d have to cater each one to your family. If you have little ones, some might be trickier. My 5 year old likes to imitate us, and does pretty well for 20-30 minutes hanging out if she doesn’t want to actually do it. It’s still important for those little ones to SEE exercise, even if they aren’t actually doing it! I made a little something that you can print out, show your kids, and have them help you pick what you’ll do each time! Just shake it up and have fun! If you’ve got more ideas, leave ’em in the comments!